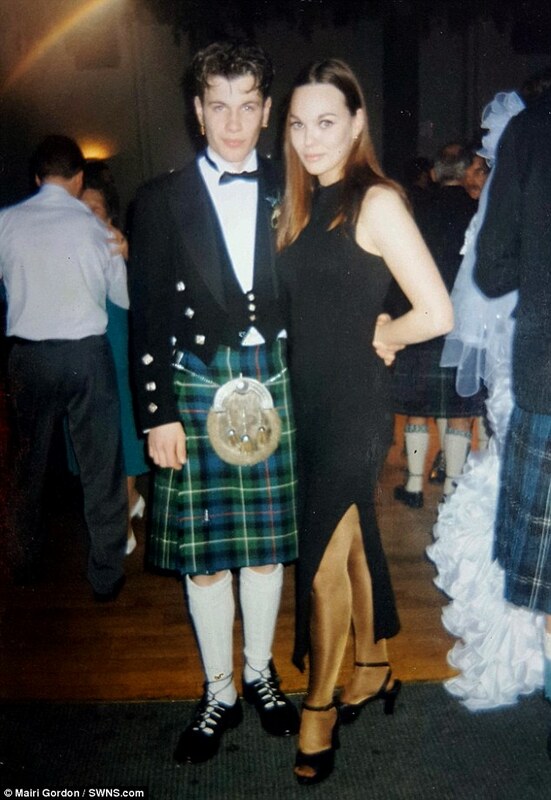 Mairi Gordon, 45, and Rhys McLellan, 43, dated in their 20s but parted ways back in 1995. They then made a joke pact, agreeing to marry if they were both still single at 40. 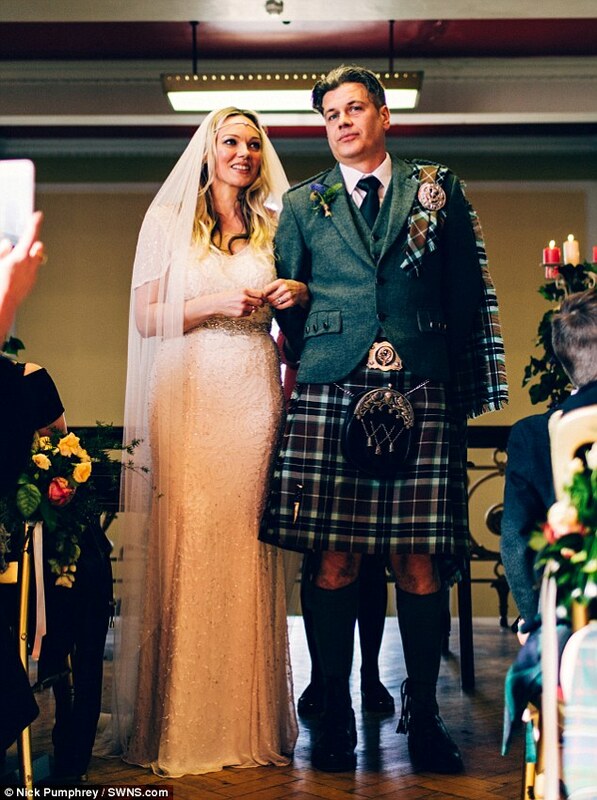 "I never forget the day we split up when we were young we said to each other if we are still single at the age of 40 we would get married," make-up artist Mairi said. The pair randomly bumped into each other in 2009, for the first time since they originally broke up. "I went to a fashion show with a friend who had been organising it for St Columbas Charity. Rhys was a volunteer for the charity and we all went for a drink after the show. There was definitely a spark between us, however, nothing was acted upon as we were both in committed relationships. I was living in Cornwall and he was in Leith, Edinburgh at the time" she said. Three years later Mairi moved back to Edinburgh after splitting up with her long-term boyfriend of 12 years. "I bumped into his [Rhys] Mum and sister in a shop in Leith, they gave me his number and I called him for a catchup. We met but I was still hurting from the previous breakup so again nothing happened and we parted ways. The next year I heard Rhys's mother was in hospital with cancer - I called him to pass on my condolences and to find out how she was doing," Mairi said. "We started to date for a few months after as we were getting close again. But I was feeling scared about getting hurt and about us getting back together again, so I ended it, even though I had feelings for him." "We bumped into each other again and this time both of us felt the sparks fly. We were both single and the feeling for each other were still very much there. Soon after I had an accident at work and injured my knee. He [Rhys] was always there to make me laugh, do some shopping, make me food. That's when I realised he was just what I had always wanted and never really stopped loving him. He says I was always the love of his life." "The next year we got engaged - it just felt right. On March 25, 2017 we got married in the Thomas Morton Hall in Leith, Edinburgh. We wanted to get married on my late mothers birthday which was March 24 but couldn't get that date, so we went for the day after. My mum and Rhys's late father sadly both died and weren't there. In my eyes, I have married a very good one, we got there in the end. I sometimes think my mum has had something to do with it. She always did say, 'Whats for you, won't go by you.'" So over 20 years since the day they jokingly made the promise to marry each other, the couple are happily married. There you have it folks, sometimes it's worth the wait!